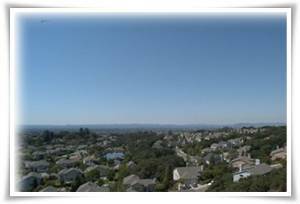 You will be amazed at the fabulous views from every window of this spacious home located on a hilltop in beautiful Santa Rosa with easy access to all that Sonoma County has to offer. The fully equipped gourmet kitchen has granite counter tops, stainless steel appliances and a 6 burner gas stove that has 2 ovens, one of which is convection. Step outside on the deck and watch the sunset while your dinner is cooking on the gas bbq. 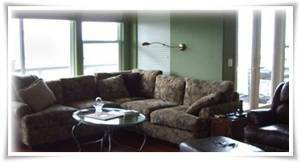 There is a large family room with a big screen tv with surround sound for enjoying a movie, or listening to music. 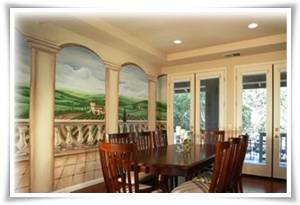 There is a beautiful dining room overlooking the front deck. The living room has large windows to enjoy the views and a granite topped bar. There are Brazilian cherry floors through out. 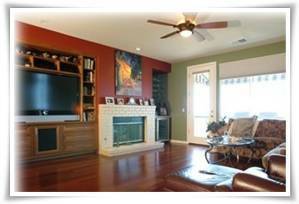 There is a wood burning fireplace in both the family room and living room. 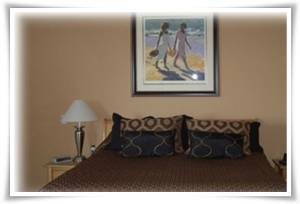 The master bedroom, also with fabulous views of the surrounding mountains, has a king sized bed, a fireplace in both the bedroom and bath and an adjacent deck. The master bath has double sinks, a walk-in shower and a jacuzzi tub. 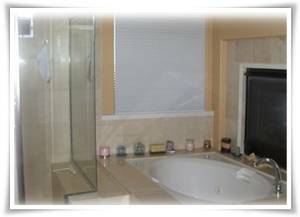 There are heated tile floors in the master bath. After a day of sightseeing or wine tasting, flip the switch on the fireplace and lounge in the tub. What could be more relaxing! The lower level has a second master bedroom with a queen sized bed, walk in shower and a private deck. There are 2 more bedrooms downstairs, one with a queen bed and one with a double. 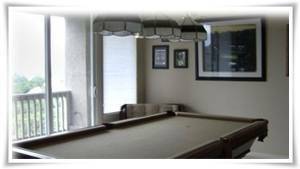 Downstairs you can also challenge your friends to a game of pool on the beautiful cherry wood billiard table. 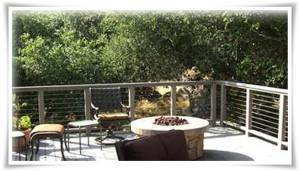 There is a beautifully appointed deck in the front of the house where you can drink your morning coffee, have a cocktail or dinner in the evening or sit around the gas fire pit and enjoy a night cap. Other Fees: For stays of less than 3 nights OR at a reduced rate,a cleaning fee will be added.